After accounting for speed-restricted curves, snail-like crawls through junctions, stops for opposing trains, and other obstacles thrown in their path, Amtrak trains average no better than 50 m.p.h. between terminals—and much less if unscheduled delays are counted. The result is that train service is slower today than it was in the 1940s, when “streamliners” touted for their speed—such as the Super Chief, 20th Century Limited, Denver Zephyr, and Hiawatha—routinely topped 90 to 100 m.p.h. between station stops. While the rest of the world has advanced, America’s passenger rail has stalled, if not reversed direction. 10 identified high-speed rail corridors eligible for stimulus funding. Photo by the White House via About.com. 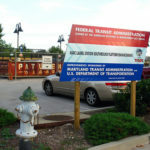 There was a frenzy last April, when President Obama committed $8 billion in stimulus funds to improve the country’s train network and asked Congress for another $5 billion over five years. The press reports came accompanied with a sleek map displaying a stylized representation of a nationwide high speed rail system tying together major metropolitan areas in the Pacific Northwest, Florida, New England, and Texas among others. 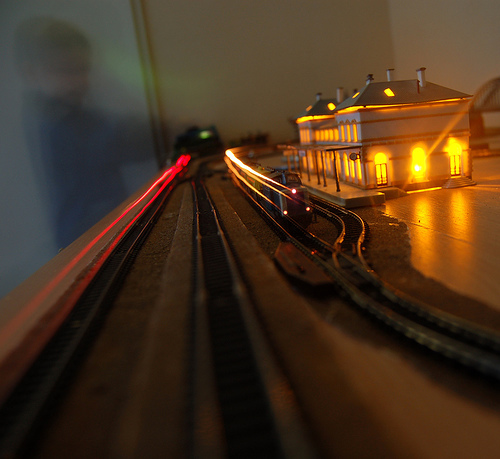 The plan included ten corridors ranging in length from 200 to 600 miles. A passive observer might have thought at the time that Obama was launching a nationwide rail network, but a basic reading of the press reports indicate that these designated corridors are simply places eligible for a federal competitive grant program. Rob Goodspeeed over at Planetizen points out that even this seemingly large influx of cash will do relatively little to increase train performance in most areas. He recently saw Federal Railway Administration (FRA) Administrator Karen Rae at a conference where she said that the federal government viewed these outlays as a modest sum designed to invest strategically in the rail network. It is similar to the $1.5 billion Transportation Investment Generating Economic Recovery (TIGER Grant) program, only it is specific to passenger rail. The FRA received a stunning $57 billion worth of requests for the $8 billion in stimulus money: an unexpectedly high level of interest that has delayed the grant program. Seven billion dollars of those requests were for intercity rail not in designated high speed corridors. Together, the limits on curvature and gradient mean that high-speed rail requires extensive land acquisition and expensive cutting, filling, bridging, and tunneling, especially in hilly areas,” Thompson noted. Expanding such corridors through heavily populated areas presents environmental hazards and NIMBY (not in my backyard) challenges, not to mention costs ranging up to $50 million a mile. 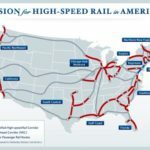 Much of the stimulus money is expected to go towards projects like California’s planned high speed rail corridor where local officials are putting up billions of dollars in bond money to try to get a $4.7 billion slice of the $8 billion in federal stimulus pie. California would use the money get started on their $40 billion, 15-20 year plan to to build a high-speed train (220 mph) from L.A. to San Francisco on mostly on dedicated track. We’re talking big dollars here. In today’s dollars, the U.S. Interstate Highway System costs $280 billion. 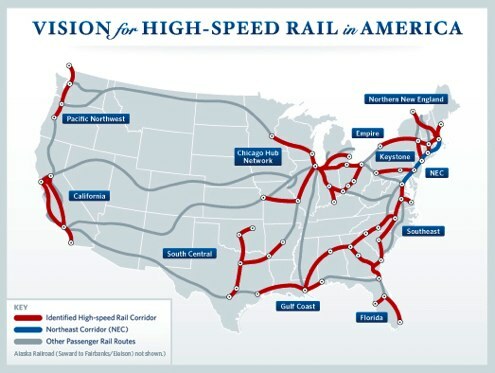 A full build-out of Obama’s proposed high speed rail corridors would cost somewhere in the vicinity of $200 billion. That has led many, including Nancy Kete, director of EMBARQ – The WRI Center for Sustainable Transport, to suggest future transportation funds may be better spent on more cost-effective systems that accomplish economic development, emissions and congestion reduction goals. In the coming years, the U.S. will have to seriously examine whether a fully-scaled high speed rail network is worth the price tag. Yes, China does have a trillion dollar plan to build 8,000 miles of high speed rail by 2020 that will carry passengers as fast as 235 mph. That doesn’t mean China is making a sound public investment or that the U.S. has to respond with an equally ambitious rail program. Rather than one-size-fits-all programs that would inevitably get politicized by members of Congress, public funds would be better spent on a plan that unleashes the creative genius of American planners and engineers and is in tune with the diverse transportation and land use realities around the country. How can America best accomplish this? 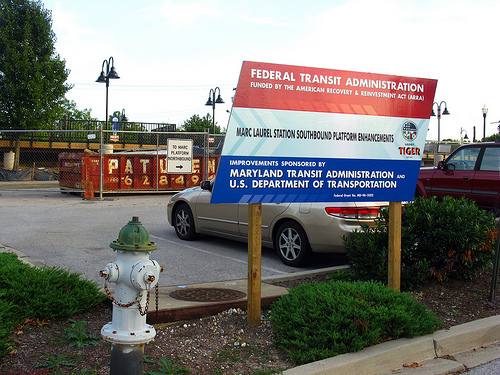 The trend appears to be towards ramping up competitive grant programs like TIGER that invest in “mode-neutral” transportation projects rather than political ambitions.